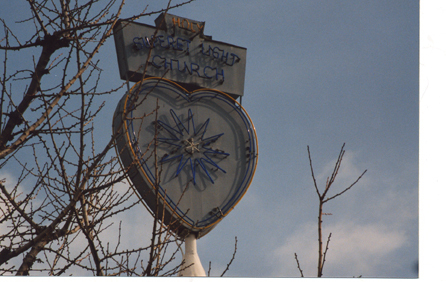 Text from a marker: Mother Trust Superet Church. classical Revival Style. Architects: Truesdell & newton. built 1922. Declared 1992. Historic Cultural Monument No. 555. City of Los Angeles, Cultural Heritage Commission, Cultural Affairs Department.